It's Friday that means Capri Pants :) I just think they are really good fun. 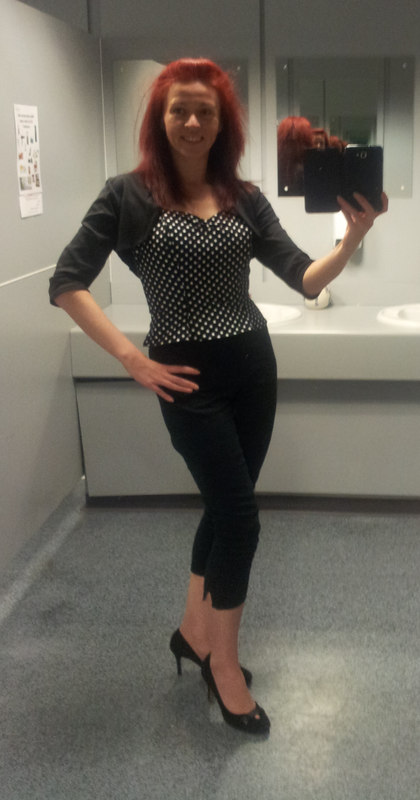 Polka dots aren't the easiest to capture but I think this makes a smart classic look for a Friday. The Polka dot top is a halter neck so it easily takes you into the evening. Capri Pants: 3/4 length by Stop Staring!